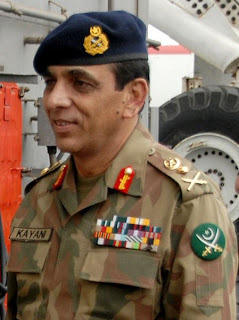 Pakistan army Chief General Ashfaq Pervez kayani has said that Pakistan army is fully prepared to respond any misadventure by India. General Kiyani was giving briefing in G.H.Q to Senate standing committee yesterday. He said that Pakistan army is ready for all the challenges and security of Pakistani borders. General Ashfaq Kiyani given importance to this point that long term future benefits of Pakistan cannot be sacrificed for short term benefits. General Kiyani also said that India's Cold Star Doctrine will not be taken lightly and we are prepared for all the challenges. different members of Senate standing committee also asked different questions from General Kiyani. Khursheed Shah of Jamat Islami said that Pakistan need to review its foreign policy towards Afghanistan and Kashmir. some members also asked questions about present Afghanistan Conditions and about US Exit from Afghanistan to whom General Kayani replied.